This is not a short term fix or a flare that wears off. Over 80% of program graduates look back at their time with us as a "positive experience and are continuing to utilize training tools" over 8 months after their training. Creating a culture of trust, teamwork, contribution, authenticity, connection and results starts with an ability for the individual to truly lead themselves. For the past ten years, our team has facilitated multiple professional development experiences that have had tremendous impact on team relationships and performance. Based on a 16+ track record of success and over 560 groups including industry, education and athletics, we provide an award-winning Leadership Intensive for your Athletic Leaders. This truly inexplicable training experience challenges and strengthens student athletes and teams. The HEART of an Athlete will provide your athletes with the tips, tools and strategies to maintain a stronger attitude and sense of self, be more responsible, and succeed on and off the field as individuals and as a TEAM. Students deserve training that is as innovative as the technology in their hands. This two-day, small group leadership intensive is one of the most effective leadership programs available. 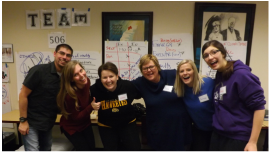 The AWARD winning HEART training challenges students to commit to personal improvement, accept responsibility, improve relationships, focus on goals, grow in communication, and contribute to their environment (org, team or otherwise). Words cannot express this experience. Participants will be challenged to put forward their very best in this two-day experience.